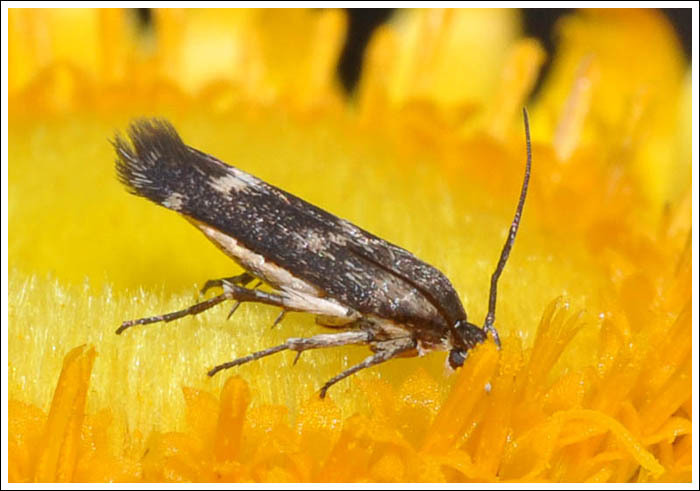 Moths in the Stathmopodinae sub family of the Oecophoridae often rest with their back legs sticking out at an angle to their bodies, which is a handy identification pointer. 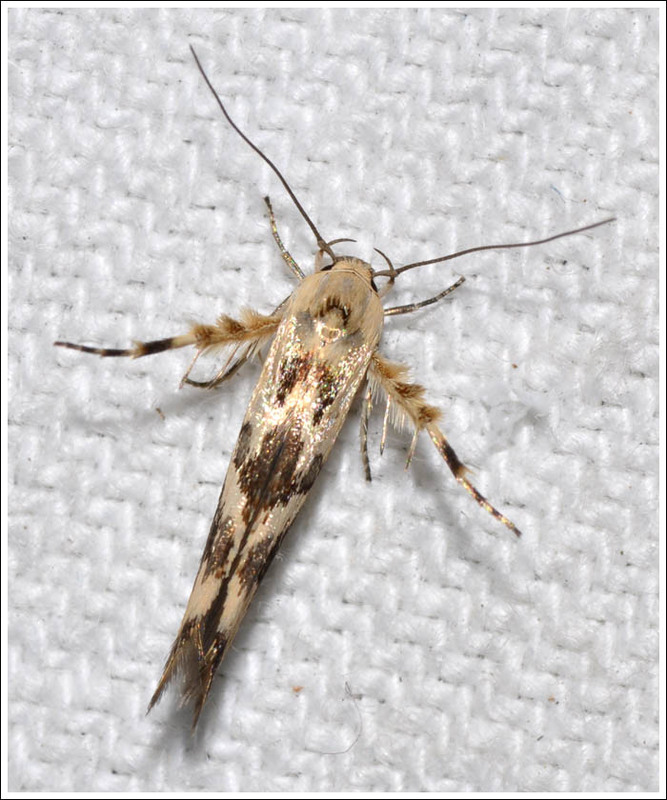 A common species to the moth light is Stathmopoda melanochra, the larvae of which feed on scale insects. While checking the Xerochrysums for insect activity, a very small moth was noticed and duly photographed. The protruding legs are plain to see in these images and although it has not yet been identified it is probably a Stathmopoda species. 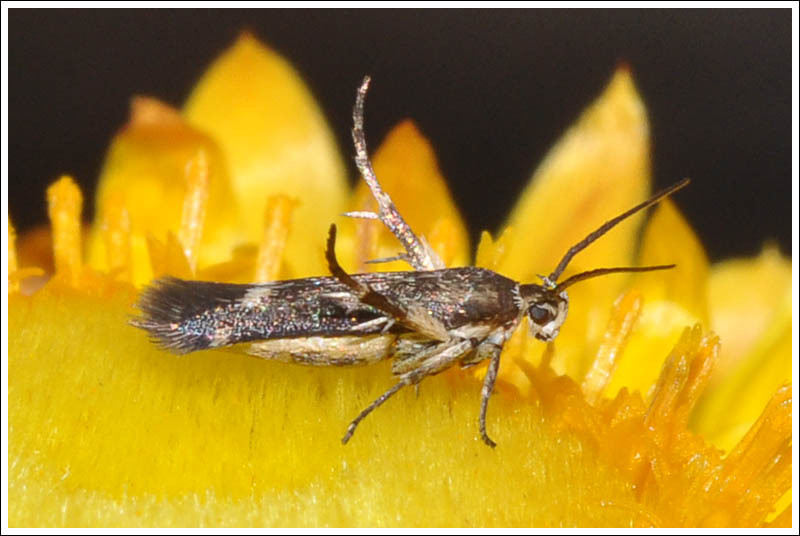 It is very small, approximately 6 mm long. Although the foods of moth larvae are often quoted in the literature, the same can’t be said for the adults. This last image shows how the moth spent a lot of its time, head down feeding. 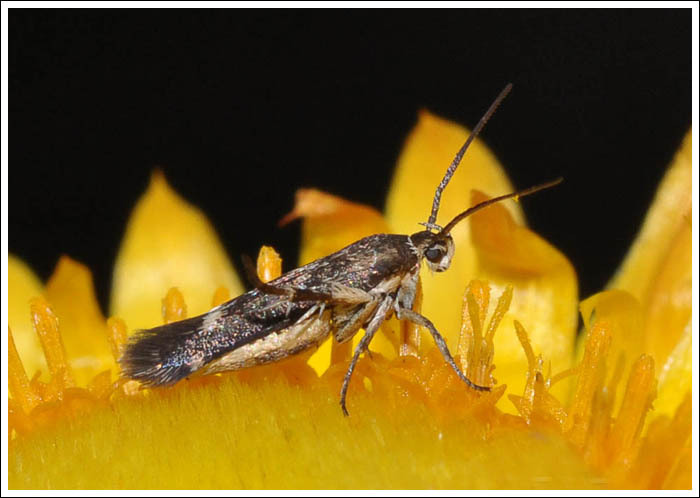 Many moths feed on nectar or fruit juice, while tiny moths in the Micropterigidae for example feed on fern spores and pollen. 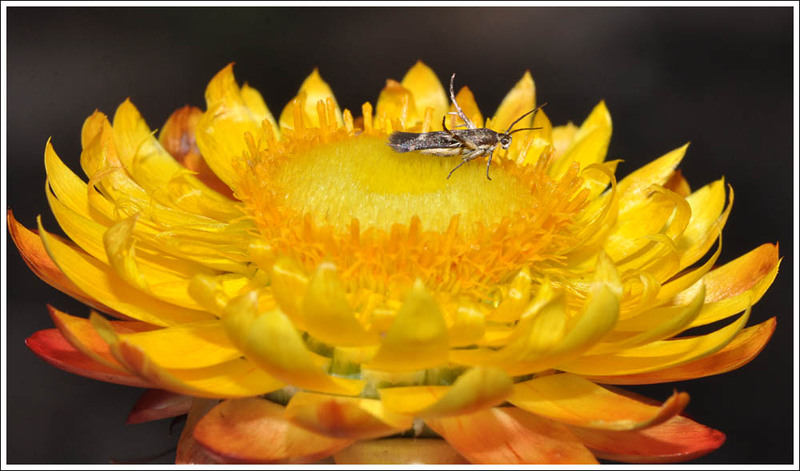 The Xerochrysums have nectar and pollen, it would be interesting to know which this small moth is feeding on. Paul Zbrorowski and Ted Edwards. Posted on February 9, 2019 February 10, 2019 by PholodesPosted in Moths.